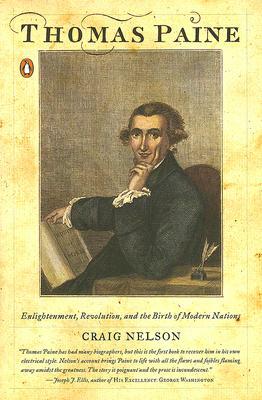 Despite his being a founder of both the United States and the French Republic, the creator of the phrase "United States of America," and the author of Common Sense, Thomas Paine is the least well known of America's founding fathers. This edifying biography by Craig Nelson traces Paine's path from his years as a London mechanic, through his emergence as the voice of revolutionary fervor on two continents, to his final days in the throes of dementia. By acquainting us as never before with this complex and combative genius, Nelson rescues a giant from obscurity-and gives us a fascinating work of history. "Craig Nelson's lovely new biography provides cogent reasons why the man who wrote Common Sense has often been neglected by the cheerleaders for the American Revolution." "A rewarding new biography . . . as much a primer on the Enlightenment as it is the story of the stay-maker from Thetford-and all the better for it."